Exhausted by war, are Colombians ready for peace? Colombia cannot end the violent conflict with the Revolutionary Armed Forces of Colombia-People’s Army (FARC) unless the peace process gains popular support. But to do so, Colombians must expel the evils that haunt current negotiations. 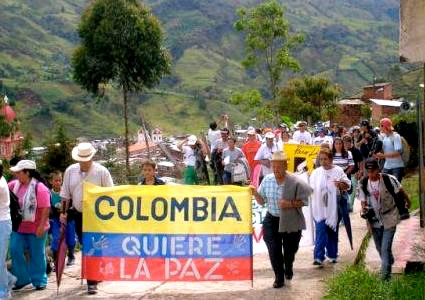 Most Colombians do not have faith in the peace process. This we can quantify in numbers: 67.34 percent of Colombians do not believe the talks will succeed. More importantly, however, Colombians do not appear to believe in peace as a way to make peace. In the minds of many Colombians, peace seems like a trophy to be won on the battlefield by defeating an enemy. In this scenario, peace is an end – not a means to an end, or a means to a future. As long as Colombian citizens do not believe peace can be achieved through negotiation, it is unlikely that the parties at the table will, either. 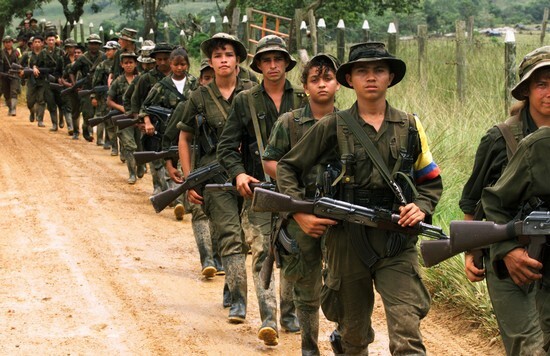 The FARC is the Latin America’s largest and oldest guerrilla. Founded in the 1960’s on Marxist-Leninist ideals, it claims to fight for the rural poor, rallying behind demands for agrarian reform. At the root of the Colombia guerrilla – that over the decades has morphed to encompass drugs, money laundering and politics – is Latin Americas’ original sin: the unequal distribution of land in rural areas, and the economic disadvantages of poor farmers. But take off the Che Guevara teeshirt – this isn’t your grandfather’s guerrilla. FARC is believed to finance its efforts primarily through drug trafficking and kidnapping. The group faces charges of human right violations, and is recognized as a terrorist organization by the United States government. In recent years, it has suffered strong military setbacks that have resonated on the negotiation table. The killings of prominent rebels have thinned the group’s ranks as hundreds of rebels have deserted. The ongoing talks between the current government of President Juan Manuel Santos (2010 – ) and the FARC represent the fourth attempt in thirty years to negotiate an end to a war that has punished Colombian civilians, and that for nearly five-decades has undermined the social and economic stability of the country. The last time Colombia attempted to reach a peace deal was during the presidency of Andrés Pastrana (1998–2002). As a precondition to negotiation, the government provided FARC a demilitarised zone of 42,000 km² in southern Colombia (the Caguán) in which they would be free to operate. The large haven was meant as a carrot, but the guerrilla used it to sharpen sticks, building up their forces on the reserve. Such actions undermined trust between the two parties and ensured that the negotiations would ultimately be fruitless. Not only did the parties lose confidence in each other, but the public also lost faith in the peace process. In an effort to regain public faith, President Santos has said that this new phase of negotiations will be different from its predecessors. In order to avoid the past mistakes, the armed forces will not cease hostilities while the peace talks are underway, and the president has emphasized that he would rather have talks end than have them muddle-on vaguely. After the failure of peace negotiations between 1999 and 2002, the Colombian electorate chose a president that vowed to fight and not to talk: Álvaro Uribe. During his campaign to 2002 presidential elections, Uribe repeatedly assured Colombians that he would eliminate the FARC within six months. His achievements in weakening the guerilla cannot be denied, but his eight-year war for peace never stopped being war, and it never started being peace. In today’s Colombia Uribe’s philosophy to annihilate FARC by military means is widely accepted – it is the paradigm of the Uribismo, a political movement that is opposed to the dialogues. The hostility to the peace process shows that war is the only thing they know to do, even when there is a chance for peace. From the beginning of the peace talks, the former president and his followers have predicted the failure of the process, using the media and social networks to overstate each misstep in order to undermine public support. They see negotiations as déjà vu of the Caguán experience, and any effort to find a middle ground is blasted as capitulation of the government. The real problem in Colombia is the lack of national unity for peace. Fighting a war for peace may work in some scenarios, but it has not worked in Colombia. In fact, it has not worked for fifty years. 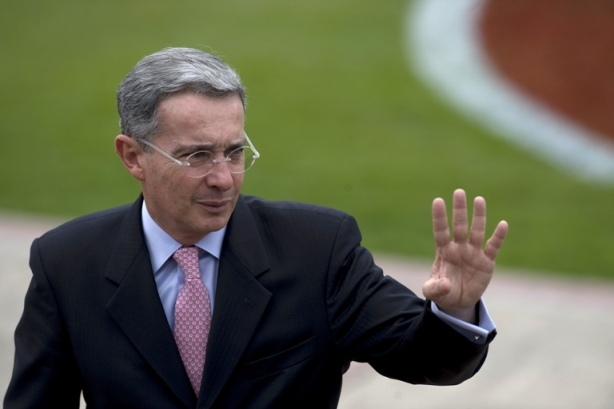 As long as the war rhetoric popularized by Mr. Uribe remains popular, peace remains elusive. 76.70 percent of Colombians believe that the FARC “does not have legitimate intentions to achieve a peace deal.” I wonder how many Colombians have legitimate intentions to achieve peace if they insist on fighting the conflict with more war. Natalia Lozano trained in the Colombian Ministry of Foreign Affairs and writes for CON-TEXTO TADEISTA in Bogotá. She currently lives in Washington, DC. This entry was posted in Andean Region, Uncategorized and tagged Colombia, FARC, Peace, Santos, Uribe, War. Bookmark the permalink.